One impo rtant role we have as parents is to raise children to be successful on their own. We have about 18 years to make sure our children are equipped, independent and confident to live successfully on their own. While it may seem easier to closely manage every aspect of our children’s lives, teaching children responsibility is really more for their benefit than ours! 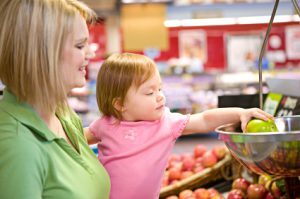 It’s never too early to start teaching children responsibility, and it is especially important during the school year. Teach by example. Your children are watching your behavior and pick up on your patterns. Explain to them that you have to do laundry before playing because it’s a responsibility and needs to get done; then, once your responsibilities are complete, relax, play and enjoy your time together. Slowly increase their responsibilities. Don’t expect children to take over everything at once; instead, increase their responsibilities gradually. Teaching a skill takes a long time, so remember to be patient. Find the balance. That said, let kids be kids and not have too many responsibilities. Make sure to find an appropriate balance. Have age-appropriate responsibilities. Starting around preschool, children can help with chores such as putting away laundry and wiping down the table. As they get older, they can take on tasks like washing dishes, doing laundry and balancing their savings account. Don’t rescue them. Let children face the consequences of their choices. If you get a call from school that your son or daughter left their lunchbox at home, it might be best to let them have the free lunch (which they may not like) offered by the cafeteria instead of driving their homemade lunch up to school. They’ll be less likely to forget their lunchbox in the future! Make sure and download our FREE morning checklist to help get your children off to a great start each day before school!